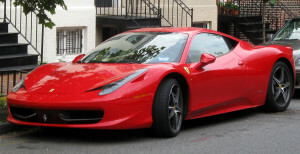 Exotic Car Rental Miami - Get Behind The Drivers Seat! 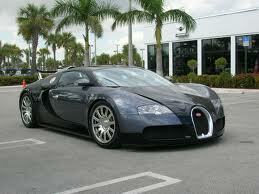 So how does exotic car rental Miami sound to you? If you have stopped by our wonderful city for business or even pleasure you simply can’t beat renting a Lamborghini or Ferrari and cruising the streets with SoBe VIP! Being rich is not the only reason to own and drive an exotic car. It is understandable that it’s a little hard for the average holiday maker to own an exotic car but that is the exact reason you can simply ‘live the life’ for a day! Luxury cars can be found anywhere these days. Geographic location plays a big part to many exotic rentals when deciding what kinds of car are to be available. And since you’re in Miami you’re in luck as renting an exotic car in Miami is the best city to do it in! Our customers preferred Ferrari’s, Lamborghini’s, Maserati and the classic BMW’s. Corvettes and many other convertible sports cars are also rentals that we also have on hand if you want to take that path. Miami has has a demand for the luxury Porsche and we have several available right now. So what luxury car rental in Miami do we have for you to take the road? Want to ‘woo’ the ladies? Then you should call us right now! Girls love to see a guy drive expensive cars. Expensive cars can make men look more interesting to the ladies. Driving an exotic car makes a person looks interesting and expensive; after all he is driving an exotic car. It raises questions like, what does he do? Is he famous? A luxury car rented in Miami gets a lot of attention which of course is what you should hope for when you rent you exotic car in Miami. Now our luxury car rentals businesses go up and beyond to ensure and safeguard our cars. We only rent to reputable people. Background checks are made including driving records to make sure we entrust our cars to someone who can be trusted. Credit cards are swiped and we take a security deposit depending on what kind of car is being rented. It could be as little as a thousand dollars or as much as ten thousand dollars. Identification cards and the driver’s license are also scanned. You see we get a lot of business. We have Lamborghini’s and Ferrari’s being rented every single day! Why, because we treat you like a VIP here at the best company to rent exotic cars in Miami. Because of this a lot customers keep coming back. We get a lot of referral business to hire out exotic cars in Miami. So it’s time for you to make a choice. Who would you rather go with, a random company who has some whiz bang website and cheap prices? Or the experts who know how treat you like a real VIP. Call us today and we will give you an experience you will never forget!